Anyone old enough to remember the late 1960s and early '70s is probably old enough to remember Glen (Travis) Campbell. His radio hits included such famous melodies as "Rhinestone Cowboy", "Southern Nights," and the "Wichita Lineman" to name just a few. His roots, of course, are in country music. Yet he was also one of the first artists to crossover from country to pop, landing hits on both Billboard charts. 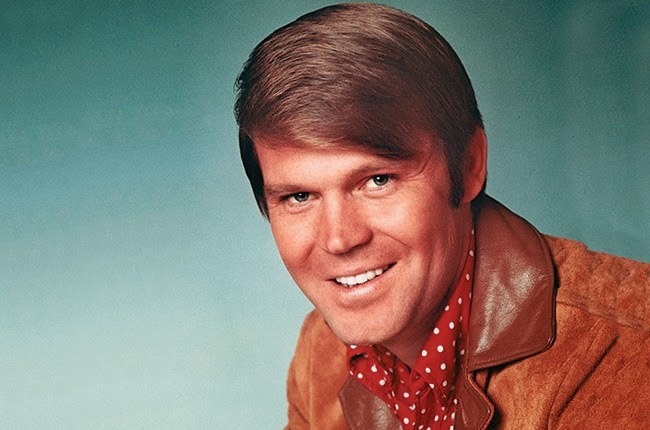 As of 2015, Glen Campbell was 78 going on 79 years old, and he’s still alive as I write this, but he has completely left public life and he’s also left the recording industry which made him famous. Its perhaps no small irony that in the 2015 Grammy Awards, Glen Campbell also won a sixth (and in all likelihood, final) Grammy of his career, as he was honored with Best Country Song at the 2015 Grammy Awards Premiere Ceremony, which is the presentation of the off-camera categories not included in the regular broadcast. "I'm Not Gonna Miss You," is a bittersweet tune he co-wrote with Julian Raymond for a 2014 documentary called “Glen Campbell: I'll Be Me”, and his new song managed to trump songs by Kenny Chesney, Eric Church, Miranda Lambert and Tim McGraw with Faith Hill. What happened to Mr. Campbell may well be his most enduring contribution to pop culture. Before I get to that, some basics on who this man is or was may be relevant. Back in the late 1960s and early 1970s, Glen Campbell was relatively good-looking, being both clean-shaven and clean cut (the antithesis to where popular culture was in those days, and especially among fellow country artists at the time), perhaps a comparison could be made to someone like today's country star Luke Bryan. Campbell was native of Arkansas, so could make a legitimate claim that he had country bona fides, plus he was also a high school dropout, not uncommon among country music artists of that era. But he left Arkansas (and more than 10 brothers and sisters) at age 16, staying for a time in New Mexico before settling in Los Angeles, where he struck it big in the music business. Note that I previously addressed country crossover artists in a post I did on Kenny Rogers and Dolly Parton which you can catch at http://goo.gl/9Lstp. Remember, this was in the days before country had gone mainstream. 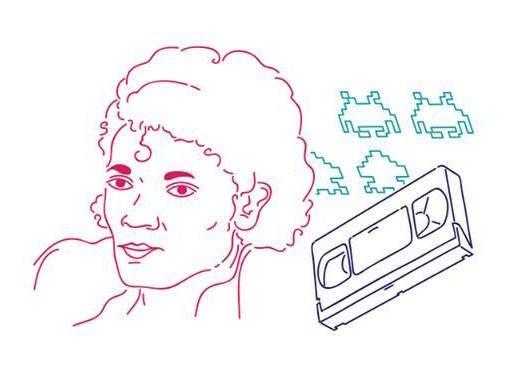 Aside from Patsy Cline, who became more famous posthumously than she ever did when she was alive, hardly anyone in country had even considered going mainstream. Only a handful achieved crossover success (and usually by accident), including Johnny Cash. It was kind of an unspoken rule of Nashville music producers (and record labels went along -- as long as artists were selling records) that crossing over was not something the country music industry saw as appropriate or supported. But Glen Campbell didn't let any of country's traditional taboos stop him. In the process, he won five (now six) Grammy awards, seven Academy of Country Music awards, and three American Music awards, and sold over 50 million records worldwide. He was inducted into the Country Music Hall of Fame in 2005. He may well be one of the first crossover artists, and was unapologetic about that, unlike some country "purists". He even once had a TV show "The Glen Campbell Goodtime Hour", in which he used his commercial clout and down-home Arkansas charm to give face-time to lesser known artists he personally admired, such as Willie Nelson, who was best known for his scrappy beard and generally unkempt appearance. As part of his crossover appeal, Mr. Campbell once toured with The Beach Boys, and even acted in a few movies – including 'True Grit' with screen legend John Wayne. But over the years, his story was more one of tabloid fodder, including multiple failed marriages. In fact, in the late 1970’s, Campbell and rising teen country singer Tanya Tucker began a tumultuous affair which did not end happily if the tabloids were correct. But in 1982 Campbell married Kim Woolen, who helped lead him to sobriety and stability, though he suffered a relapse in 2004 when he was arrested for drunk driving and sentenced to ten days in jail. His problems with alcohol and drugs became headlines for tabloids like the National Enquirer back in the day, but ultimately, he found a spouse who got him to clean up his act. Supposedly, that also caused him to find God, whatever that means - "finding God" has become a true cliché that many celebrities use, so its unclear what that means. In 2011, in the liner notes to his then-new album, entitled "Ghost on the Canvas", Glen Campbell wrote that this is "the last studio record of new songs I ever plan to make." At the time, some industry observers noted that listeners could tell his voice really wasn't what it used to be, and that he was showing signs of age. But they were missing an important part of the story. "Ronnie's long journey has finally taken him to a distant place where I can no longer reach him. Because of this, I'm determined to do whatever I can to save other families from this pain. I just don't see how we can turn our backs on this." Mrs. Reagan was, of course, speaking about embryonic stem cell research, something both she and the JDRF both supported. The term "embryonic" is a misnomer; it involves blastocysts that are created in-vitro (in a laboratory), many created for the sole purpose of reproduction, but which are ultimately discarded as medical waste, usually because the fertilization procedure was successful, although some owners may choose to donate them for the explicit purpose of research. Mrs. Reagan was extremely critical of then-President George W. Bush's decision to limit Federally-funded stem cell to a only a dozen or so stem cell lines, some of which proved to be unusable, created by the arbitrary date that he announced the policy, but he and his advisor Karl Rove was eager to make a key voting constituency happy. That type of restriction was championed by social conservatives, yet it retarded a promising scientific avenue. (California voters took matters into their own hands by starting the California Institute for Regenerative Medicine [CIRM] http://www.cirm.ca.gov/ which is not dependent on the vicissitudes of Federal policy driven by political ideology, but is funded by the State of California, which ranks as the world's seventh largest economy in its own right). Those initial research restrictions placed on cell lines President Bush were subsequently expanded a bit after President Barack Obama took office, but because this type of research remains controversial in the eyes of some, it remains in a precarious situation because of politics, not because of the science. For the record, I don't believe Mr. Campbell ever went on record as to what his view on the issue of stem cell actually were. Interestingly, I suspect Mr. Campbell's (and his family’s) transparency about his diagnosis with Alzheimer's could be an even more enduring societal contribution. During his final tour, he agreed to let cameras follow him to show how Alzheimer's was impacting his day-to-day life, the result being a movie which was released in late 2014. For example, during that tour, the lyrics were put on a teleprompter so he didn't have to worry about forgetting them. The movie was created by filmmaker James Keach, with his and his family's permission, and aims to use Glen's illness as a platform to campaign for more and better Alzheimer's research. While the movie is meant to be a biography of sorts, it spends a great deal of time discussing his new reality which includes Alzheimer's Disease. In 2012, the Federal Government announced several plans to try and address Alzheimer's, including a move by the National Institutes of Health (NIH) to launch a broader BRAIN Initiative, which is a large-scale effort to equip researchers with fundamental insights necessary for treating a wide variety of brain disorders including Alzheimer's, as well as autism, epilepsy, schizophrenia, and traumatic brain injury. Its not limited to Alzheimer's, but that is an important part of it. Under the program, four federal agencies — NIH, the National Science Foundation, the Food and Drug Administration and the Defense Advanced Research Projects Agency — stepped up to a "grand challenge" and committed more than $110 million to the Initiative for fiscal year 2014. Planning for the NIH component of the BRAIN initiative is guided by the long-term scientific plan, "BRAIN 2025: A Scientific Vision" [http://www.braininitiative.nih.gov/2025/index.htm] that details seven high-priority research areas. Keep in mind that none of this is likely to help Glen Campbell himself, who has been checked into a long-term care facility in Nashville where his family is still able to visit him regularly but is cared for around the clock, but the publicity and the attention this has brought to Alzheimer's Disease may help people in the future, much as Mr. and Mrs. Reagan's public disclosure did a number of years ago. For their part, Mr. Campbell and his family seem to be taking things in stride and are not allowing the diagnosis to bring them down too much. Although Mr. Campbell is now living in a care facility that has people on staff to care for him all the time, the movie, which launched on October 24, 2014, could well do for Alzheimer's what other celebrities including Melissa Etheridge did for breast cancer. Author P.S., August 8, 2017: On August 8, 2017, the celebrity news of the day was that Glen Campbell had passed away at age 81. According to Tim Plumley, his publicist, the cause was Alzheimer's Disease. As noted, in 2011, Mr. Campbell and his family announced that he was diagnosed with Alzheimer's and they even created a movie about the impact that had on his final days as a musician. Obituaries were published in most major news outlets, including Billboard magazine (see HERE) and the New York Times (see HERE). His passing marked the end of a fabled career that began with country music, but morphed into one of the earliest known crossover artists (catch my post about that HERE).